Psychopathology is generally defined as a mental disorder marked by extreme egoism and an inability to empathise and sympathise. Together with an inability to establish genuine emotional bonds psychopathic personalities also lack a moral compass and often engage in anti-social or criminal behaviour. Psychopathology does not affect a person’s mental capacity however. So psychopaths can range in intelligence from the not-so-bright to the highly intelligent and it is the more intelligent who are the most dangerous. This is because they learn to mask their true nature behind a false facade. So much like actors, they can ‘assume’ an entirely bogus personality and use it to cynically manipulate others. Because psychopaths are egotistically so highly motivated they are often driven to acquire power in business or politics. When this happens great harm can be wrought. History is full of examples of such personalities at work. The more obvious are megalomaniacs like Hitler, Stalin or Chairman Mao. While the less obvious operate behind a contrived public image. Like Winston Churchill, who was complicit in a number of Crimes Against Humanity: ranging from his advocating the use of chemical weapons to his order for saturation bombing that left hundreds of thousands of German civilians dead in Dresden. Churchill’s crimes have now been reduced to little more than a footnote in the history books. Nonetheless, Churchill bore the characteristics of a psychopath as much as his adversaries in WWII did. A more recent example of a psychopath acquiring the reins of power would be Tony Blair. A consummate liar, Blair used the now disproved claims about Saddam’s Weapons of Mass Destruction to help launch a military campaign that at the last count left nearly two hundred thousand Iraqi civilians dead. This doesn’t include those displaced, the waves of refugees that have followed the 2003 invasion or those sickened and deformed by the Coalition’s use of Depleted Uranium, the effects of which are still being felt today and which Blair sanctioned. Of course Blair didn’t do any of this on his own initiative. He was simply following the instructions of those who granted him his power and position. 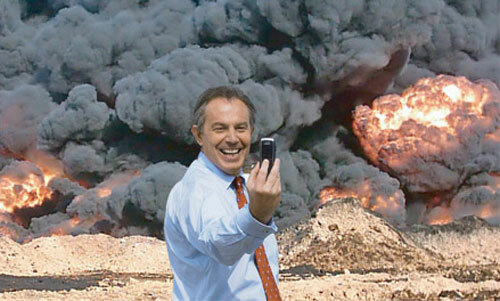 The elite chose Blair because he was such a consummate liar. Such was his ability to deceive so many and so adroitly that even while he was complicit in crimes of historic proportions he still claimed to be liberating Iraqis from a brutal dictatorship. With his accomplished ability to deceive, the elite had chosen Blair and then prepared the way for him to assume power. First by anointing him at the 1993 Bilderberg meeting and then by eliminating his popular predecessor John Smith, who died an untimely death, which Blair strangely predicted, and which opened the way for his leadership of the Labour Party. Having thus secured his position Blair would then go on to do the elite’s dirty work, and being a psychopath he did so without question, or compunction or any genuine remorse. Sure, he would later publicly concede “regret” over Iraq but only because it was expedient to do so. Much like psychopathic murderers express “remorse” over their crimes in order to win leniency, Blair’s admission was simply to earn approval in the court of public opinion. 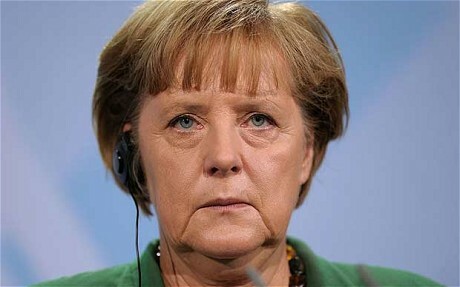 I would suggest another possible psychopath is Angela Merkel. Merkel’s ‘open border’ policy, like Blair’s argument to oust Saddam Hussien, was initially justified on ‘humanitarian’ grounds although the end result has been anything but a humanitarian success. Nor is it a coincidence that Blair’s arguments for the invasion of Iraq over a decade before contributed to the refugee crisis currently unfolding across Europe. In fact Merkel’s open border policy is merely a continuation of where Blair left off. Not only did she welcome waves of migrants into Germany in 2015, Merkel actually approved the 2003 invasion that sparked their displacement in the first place. I would moreover suggest another likely psychopath is George Soros. Like Blair and Merkel he has ostensibly fine-sounding intentions, which on closer inspection seem to result in a less than benign outcome. Unlike Blair and Merkel however, Soros doesn’t just do as he’s told. He also makes his own decisions and that puts him on a higher level in the globalist chain of command. Blair and Merkel are no more than departmental supervisors while George Soros is more akin to higher management. It has been estimated that around 1% of the general populace have psychopathic tendencies. However, that proportion rises the more power an individual has access to; in much the same way that bees are drawn to honey psychopaths seem attracted to power. So a recent study found 3% of managers exhibited psychopathic traits. While the higher you went up the corporate ladder the more psychopaths there were; rising to nearly 4% in higher management. If someone were to do a similar clinical study of politicians I suspect that the percentage would be even higher. I have personally only ever known one obvious psychopath. While he wasn’t clinically diagnosed as one I could see during our time together in the Rhodesian Army Special Forces that he enjoyed killing. In addition he also had a charismatic charm that seems to characterise so many psychopaths. To be sure, most of the guys I served with were real killers but they didn’t enjoy it. They weren’t intrinsically bad guys and they didn’t revel in slaughter, it was just part of what they did. They were soldiers and that was their job. My psychopathic comrade did enjoy killing though. Immensely. It seemed to give him a sense of power and fulfilment that was almost sexual in its intensity. I suspect that Blair and Merkel get the same sense of satisfaction from wielding power. For my former comrade it was the exhilaration of combat and the sense of power it generated in him as he took other’s lives. For the likes of Blair and Merkel, I suspect it is the wielding of power itself that is exhilarating. Even, or perhaps more especially if that results in suffering and loss of life.